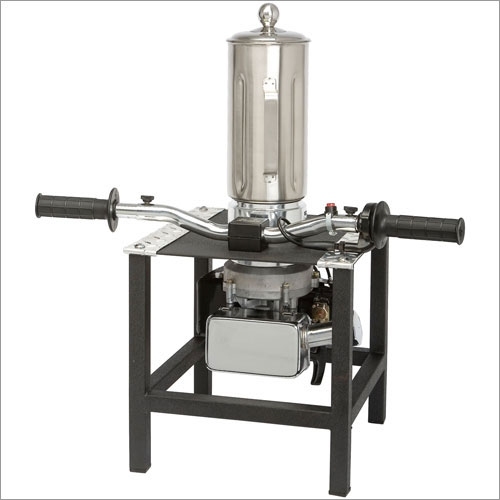 A two-stroke engined blender we told you about recently has begun to feel gas pains — from the California Air Resources Board (CARB). The blender was investigated by a group of public servants in California and found to be a polluting device. A story on the Press-Enterprise newspaper’s website says an "unnamed retail chain is now under investigation for importing the blenders from China" without getting CARB certification. The CARB lab in El Monte, California, has traditionally tested cars and trucks, but recently has begun to look at small engines, and added boats and motorcycles this year. After seeing an ad for the blender, the team bought one at an auto parts store. The blender’s two-stroke motor requires more oil in its fuel mixture than California would allow. The new dark age of eco-tyranny has begun.